A perennial favorite has returned! 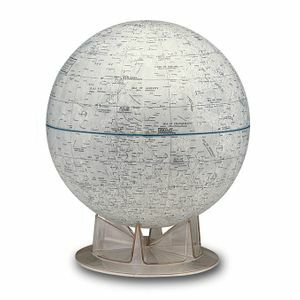 Learn more about our Moon with this detailed 12” NASA approved globe which identifies landing sites and major features. 12” diameter with acrylic pedestal base and information booklet included.